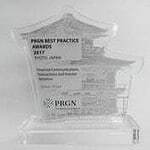 As usual, in the context of this year’s annual Fall Meeting of the Public Relations Global Network (PRGN), of which cometis has been a part for nine years, the PRGN International Best Practice Contest was held. Our cometis-Team was able to secure the coveted PRGN Best Practice Award Gold with the campaign “Listing the future of e-mobility / Communication in the course of the IPO of AKASOL AG” in the category “Financial Communications, Transactions, Investor Relations”. With this award, cometis was recognized for the successful communication surrounding the IPO of AKASOL AG. The manufacturer and pioneer of battery systems for e-mobility applications with locations in the German towns of Darmstadt and Langen successfully listed in the regulated market (Prime Standard) at the Frankfurt Stock Exchange. The response to this year’s PRGN International Best Practice Contest was particularly strong: 29 agencies from within the Public Relations Global Network submitted case studies. A total of 106 submissions competed for 59 trophies and awards, of which 55 were awarded on 26 October in Bucharest’s Ghica Victoria Palais. We would like to congratulate AKASOL, the participating banks and our entire team on their great work! 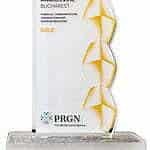 At this year’s annual Fall Meeting of the Public Relations Global Network (PRGN), the award ceremony for the PRGN International Best Practice Contest took place again. Our cometis team was awarded the PRGN Best Practice Award Silver for the campaign “Financial Communication in the Course of a Listing – cometis AG & CORESTATE Capital Holding S.A.” in the category “Financial Communications, Transactions, Investor Relations”. With this award, cometis was recognized for the successful communication in relation to the listing of the CORESTATE Capital Holding S.A., an investment manager based in Luxembourg, on the Frankfurt stock exchange. cometis AG was commissioned to develop and execute the entire capital market communication campaign regarding the listing at Frankfurt stock exchange. The awards ceremony took place on 27th October 2017 in Kyoto, Japan. We congratulate CORESTATE, the participating banks and our entire team on their great work! 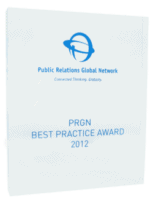 In 2015, cometis AG was recognized with the Best Practice Award of the Public Relations Global Network (PRGN) once more. In the “Financial Communications & Investor Relations” category, cometis was awarded the Gold Award for the successful IPO communication in the initial public offering of Ferratum Oyj. By doing so, the jury appreciated the strategic development and the implementation of the communication measures as well as the high level of consulting quality within this project. 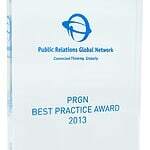 In 2013, cometis AG was once again awarded the Best Practice Award of the Public Relations Global Network (PRGN). The network is globally one of the four leading networks for public relations. In the “Financial Communications & Investor Relations” category, cometis was able to assert itself against other outstanding communication projects and by doing so secured the Silver Best Practice Award. The successful development and implementation of cometis’ communication strategy for the bond issuance of ETERNA Mode Holding GmbH was recognized. cometis AG is a member of the Public Relations Global Network (PRGN), which is globally one of the four leading networks for public relations. 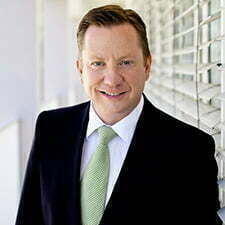 Clients on six continents rely on the know-how of around 50 independent public relations agencies and more than 900 communication experts. 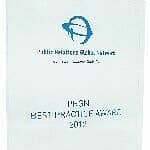 The annual Best Practice Awards honor outstanding communication projects of members of the network. 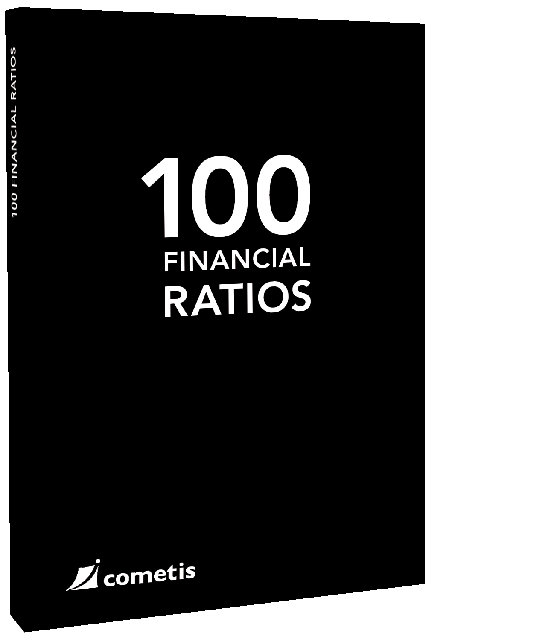 In 2012, cometis won the Best Practice Award in the category “Financial Communications & Investor Relations” for the first time. The successful communication consulting in the “Derby Cycle” project, which was aimed at the defense of a hostile takeover, was thus recognized. 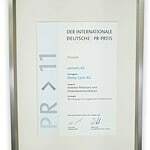 In 2011, cometis AG once more reached the finals of Deutscher PR-Preis (German PR award) in the category “Investor Relations / Financial Communication.” With the campaign “IPO with built-in tailwind” for Derby Cycle AG, cometis was able to collect many plus points with the jury and once again left other well-known campaigns behind. In 2010, our client – Manz Automation AG – was awarded the BIRD – Beste Investor Relations Deutschland (Best Investor Relations Germany). 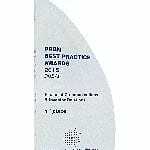 The company emerged as the winner in the category TecDAX from the reader survey “BIRD 2009” conducted by the stock exchange magazine BÖRSE ONLINE. At the same time, Manz AG achieved sixth place out of the 160 largest listed companies in the overall ranking of the stock exchange indices DAX, MDAX, TecDAX and SDAX with 67.0 points. 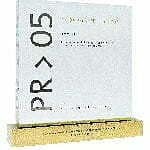 In 2005, cometis AG won the Deutscher PR-Preis 2005 (German PR Award) in the category “Financial Communication / Investor Relations.” This award represents the industry’s highest distinction in the German-speaking area and is jointly published by Deutsche Public Relations Gesellschaft e. V. and the F.A.Z.-Institut. The international jury, with leading communication experts from the business world, science and agencies, thus honored the strategic and operational communication consulting of cometis within the course of the IPO of MIFA Mitteldeutsche Fahrradwerke AG in May 2004. In the final round, cometis was able to prevail against Bayer AG (IPO Lanxess) as well as against a Hamburg-based PR agency, which was nominated for a project for Fidelity Investments.